Freshwater streams and rivers naturally clean up some forms of pollution originating from urban and agricultural areas, but increased storm intensity reduces this ability, which underscores the need to improve the management of nonpoint sources of pollution and storm water management, according to new research published in Water Resources Research, a journal of the American Geophysical Union. The research findings advance efforts to further understand the ability of streams and rivers to clean watershed pollution and determine how to best manage nonpoint nitrogen inputs associated with human activity. Scientists used a new generation of high-technology sensors placed directly into streams and rivers to measure nitrate concentrations continuously under different flow conditions. These sensors are transforming the understanding of water quality and how to improve its management. "Worldwide, people have doubled the amount of nitrogen entering the environment over the last century. Much of this nitrogen is not exported through rivers to coastal areas, despite the fact that many coastal areas have been greatly impaired by nitrogen. A big question remains as to where all that human-introduced nitrogen goes. 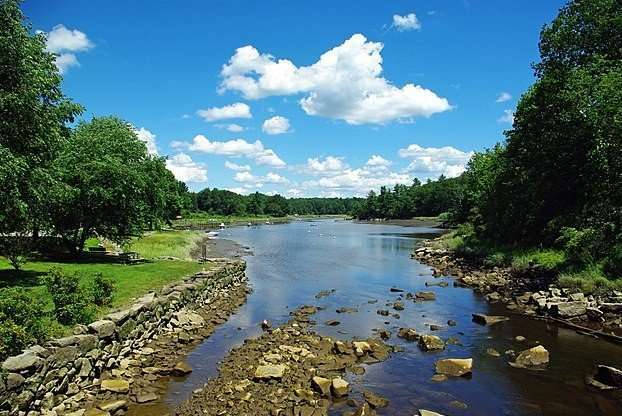 This work looks at part of the Oyster River watershed system—the river network—to see how much can be removed by it," said Wilfred Wollheim, a professor of natural resources and the environment at the New Hampshire Agricultural Experiment Station and lead author of the study. Nonpoint source pollution generally results from land runoff, atmospheric deposition, fertilizers, septic systems and/or hydrologic modification from ever expanding road networks. Nonpoint source pollution comes from many diffuse sources such as agricultural land, construction sites, faulty septic systems and residential areas. It is caused by rainfall or snowmelt moving over and through the ground. As the runoff moves, it picks up and carries away natural elements and human-made pollutants, finally depositing them into streams, rivers, lakes, wetlands, coastal waters and ground waters. Urban and agricultural areas contribute much higher nutrient inputs to streams and rivers than forests, especially during storms. Freshwater ecosystems are able to clean some of this higher nutrient input before it gets to coastal areas. The ability of freshwaters to clean up nutrient pollution goes down rapidly with larger storms. Thus, as storminess increases, more nitrate will transfer to coastal areas. Improvements need to be made in nonpoint nutrient management on land by reducing inputs while taking into account different storm intensity or by increased storm water management. This is especially true if climate extremes continue to worsen. "The Great Bay Estuary is considered nitrogen-impaired in part due to nonpoint nitrogen sources from its watersheds. The problem would be even worse if it were not for the fact that streams and rivers clean up some of that nitrogen pollution before it gets to the bay. 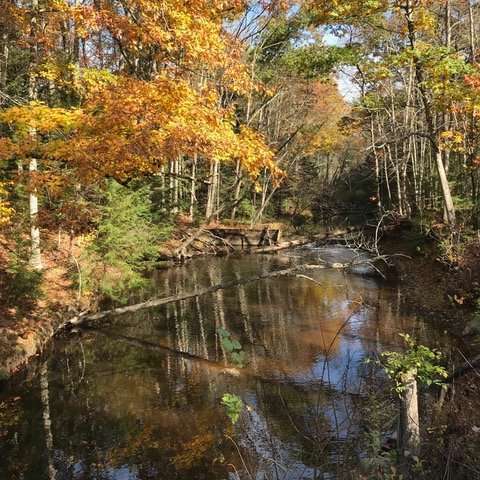 It is important to protect streams and rivers so they can continue to provide this important ecosystem service," Wollheim said. "But climate scientists predict that storminess will increase in the future, associated with climate change, which means less retention by rivers. Therefore, it becomes even more important to reduce the original nitrogen sources, which enter the watershed in fertilizer, human waste and through atmospheric pollution. We need to think about whether we need to fertilize our lawn as much, make sure our septic systems are maintained and support legislation to help reduce nutrient inputs, especially as more people move to the region" he said. Going forward, researchers plan to investigate the contribution of reservoirs to river network nitrogen removal. Wollheim explained that if dams are removed and their reservoirs are drained, nitrogen fluxes to the estuary also may increase. It is important to isolate the effects of reservoirs from natural streams, rivers, ponds and lakes.